AFTER WEEKS, and months, and years of political wrangling, this week will see the most crucial set of decisions made by British politicians to determine the course of Brexit. As outlined here, there could be as many as three vital votes in the House of Commons this week with a number of options on the table. The first option MPs will vote on is set for Tuesday on Theresa May’s much-maligned withdrawal agreement, which contains the Irish backstop provision that is so loathed by the DUP and hardline Brexiteers. 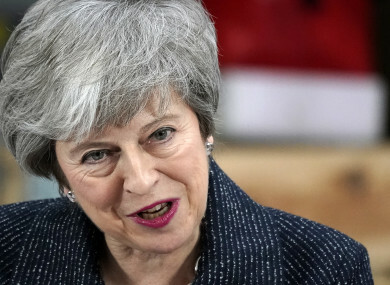 If they vote against Theresa May’s deal, MPs will be asked to vote on if they want a no-deal Brexit on Wednesday. And, if they vote against a no deal, then they’ll be voting again on Thursday on whether to extend Brexit. So, what do you think? Which vote is most likely to pass in Westminster this week? Email “Poll: May's deal, no deal or Brexit delay - which vote is most likely to pass in Westminster this week?”. Feedback on “Poll: May's deal, no deal or Brexit delay - which vote is most likely to pass in Westminster this week?”.